Craig’s Hut is one of a string of high country huts which provides you with one of the most awe-inspiring views this country has to offer. 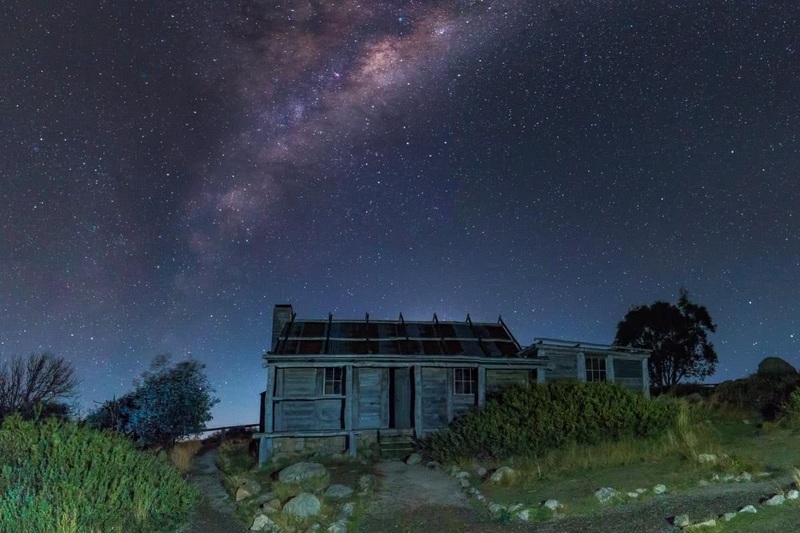 In fact, Australian Traveller listed Craig’s Hut at #5 in their list of the 100 Best Views in Australia. Unlike the other high country huts (which were built by Australia’s historic cattlemen for shelter whilst driving their cattle to the high plains for summer), Craig’s Hut – one of the High Country’s most famous huts – was actually purpose-built for the cinematic adaption of Banjo Patterson’s legendary poem The Man from Snowy River in 1981. You’ll need a 4WD to get right up to the hut by car, but you can park your 2WD at the base on Circuit Rd and hike up (I reckon that the road would still be tricky for 2WDs if there has been a lot of rain leading up). Circuit Rd is closed at Telephone Box Junction during snow season (but you can helicopter up from Mansfield if you are super keen – this place would be RAD in the snow). 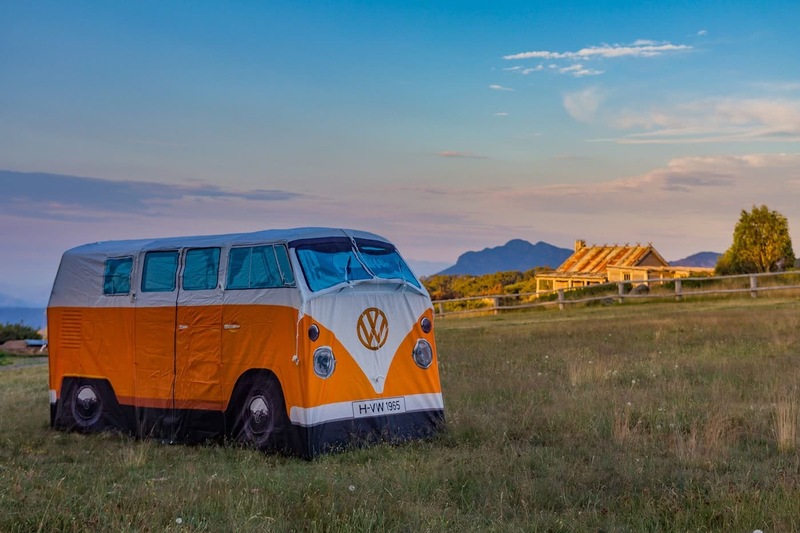 If you’re feeling cheeky, do what we did on a separate trip and take your full-size replica of a 1965 VW Kombi T1 van up the mountain and take some rad (and super cheeky) shots. At the hut itself, you will find fire pits for camping, which was handy on the night that I visited given that the mercury dropped to a crisp 2 degrees Celsius. There are additional camping grounds further down the track, but I opted to pitch a swag/bivy up top – and I had the entire place to myself for the night. Amazing. Whilst the view during the day is jaw-dropping enough, watching a sunset here is something else. 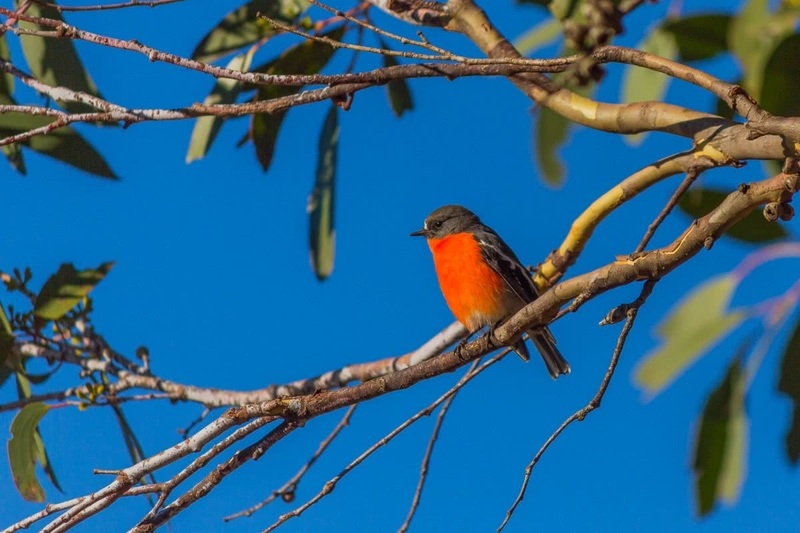 You feel like a true explorer, on top of your mountain as the sky fills with colour over your incredible view of the wild Great Dividing Range. At night, it gets cold, but If you haven’t seen clear skies in the high country, you haven’t seen clear skies. The amount of detail in the Milky Way visible to the naked eye was simply astonishing as the galactic core rose above the hut – there was even a comet visible – I know, right?! Sunrise was just as awe-inspiring, with low cloud drifting through the maze of valleys that stretch out below you as the Australian high country slowly fills with life and colour. I found myself taking far less photos than I expected to because I just wanted to watch. 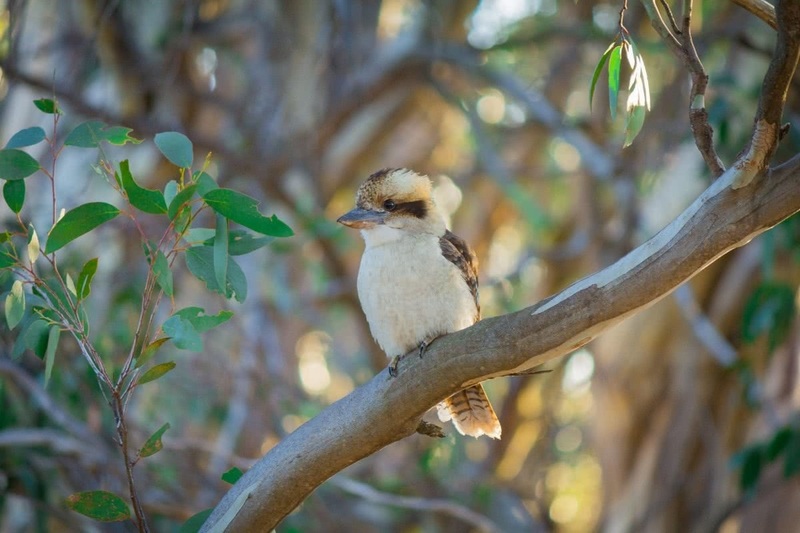 Kookaburras laugh and Flame Robins chatter away as dew drips from the Snow Gums, and the feeling slowly starts to return to your fingers and you realise how lucky you are to be able to witness such a spectacular sight. More info on Victoria’s High Country. If you don’t have a 4WD and need to hike up from Circuit Rd, details are below. A decent hiking pack is essential if you plan to carry camping gear up.